This adventure through time is aimed at guests that are looking for an off the beaten track experience, entirely respectful of the environment, and yet just enough comfort to ensure a superlative well balanced adventure. 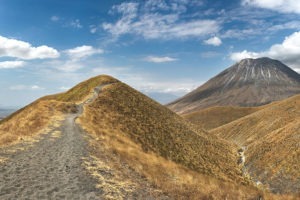 This is a trek that goes back through millennia of evolution from the relatively recent hominid footprints right by the camp at Lake Natron all the way to Olduvai, commonly known as “one of the most important paleoanthropological sites in the world”, and home to evidence of our earliest ancestors. 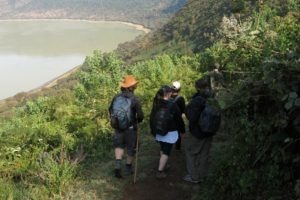 Olduvai gorge is known as the ‘Cradle of Mankind’ and this trekking expedition courses through the veins of the history of mankind, geology and landscapes spanning 250 million years. 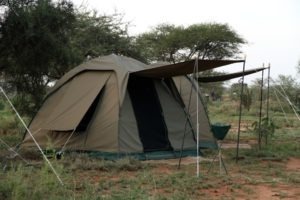 This expedition is well timed to experience the wildebeest in the central or northern Serengeti post / pre-trek. 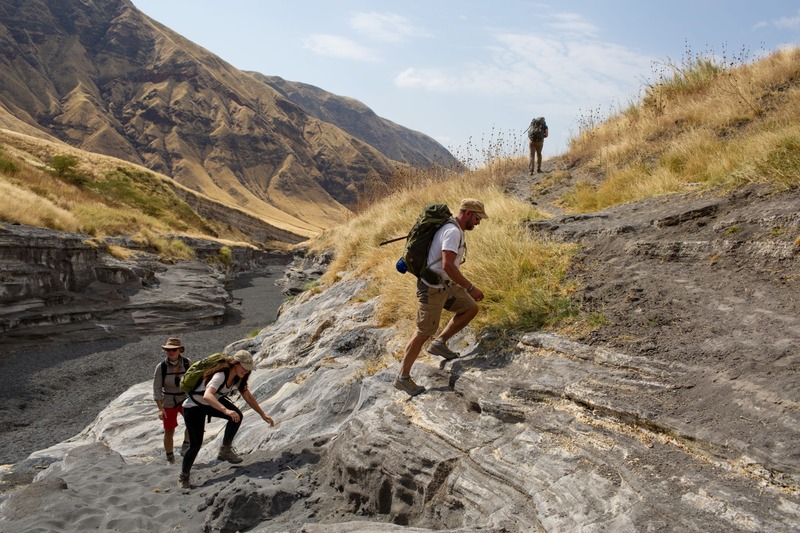 Key features include hiking the Gregorian Rift valley, Sanjan Gorge, Gol Mountains, Olduvai Gorge and Ol Karien Gorge. On arrival into Kilimanjaro Airport, clear immigration and collect your luggage before proceeding through customs. Note : Yellow Fever vaccination certificates will be checked on arrival. 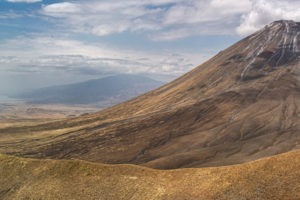 Welcome to Tanzania, meet a driver in the arrival hall and transfer to Arusha, about a 30 minute drive. 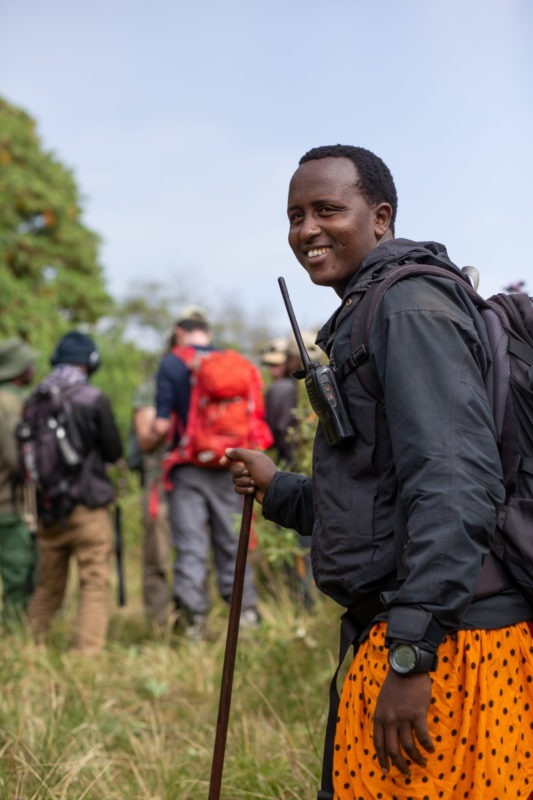 Situated in the Crater Highlands in Northern Tanzania, the Ngorongoro Conservation Area is best known for its archaeological and geological significance, rich wildlife, and beautiful scenery. 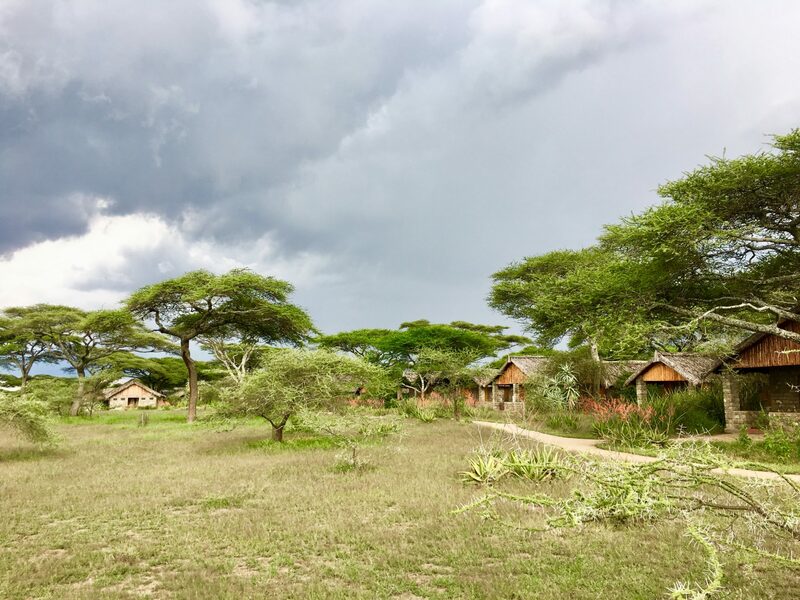 The conservation area encompasses the famous Crater, the renowned Olduvai Gorge and vast plains of grasslands, forests and mountains extending to the Serengeti. This 8000-square-kilometre protected area is recognised for its natural beauty and has been placed on the UNESCO World Heritage List. 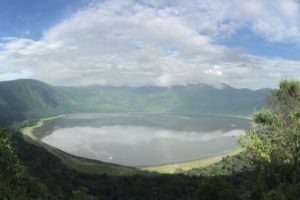 Visitors flock here to soak up the spectacular views of the Ngorongoro Crater, voted as one of the Seven Natural Wonders of Africa, it is famed for its natural beauty and abundant wildlife. 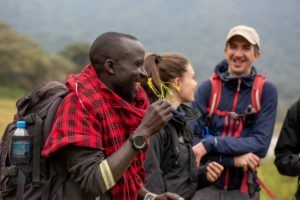 Popular activities include mountain biking, hiking, game drives, bush walks, and visiting a local Maasai village. 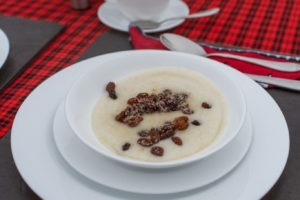 After a hearty breakfast, check out of Ngare Sero Mountain Lodge and meet your guides. 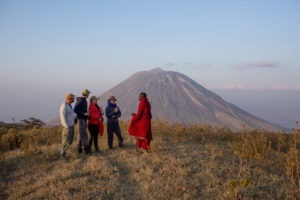 Transfer from Arusha to Empakai Crater, this transfer can take up to 5 hours. On arrival at Empakai crater there is the option to descend into the crater itself. 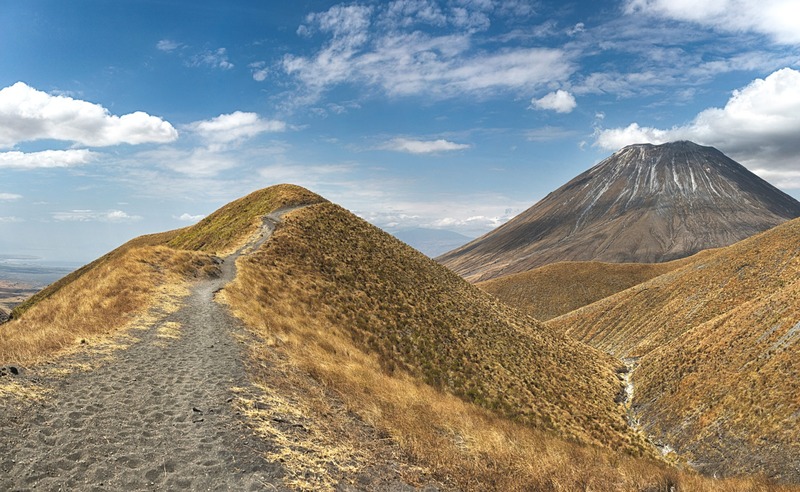 This is around a 40 minute hike down and depending on season can be quite slippery, but certainly a great hike with stunning views. 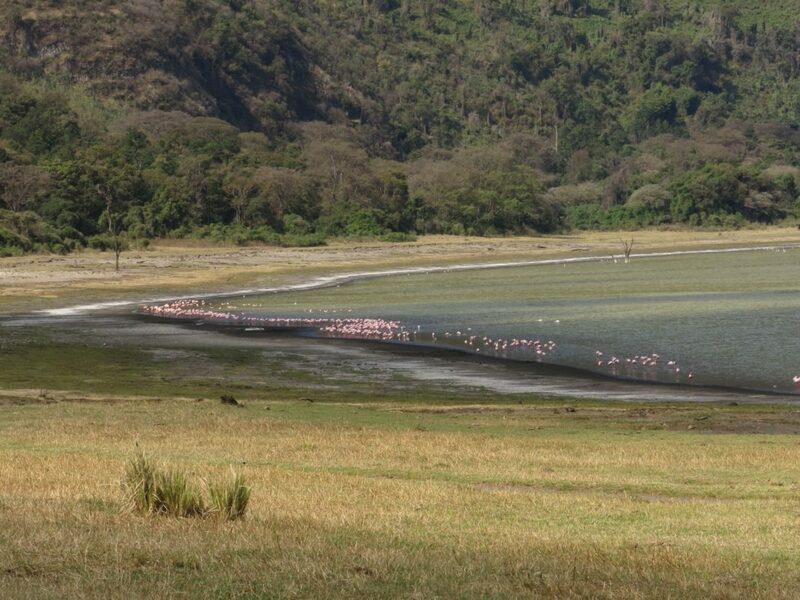 Flamingos are often seen flying into the crater or feeding in the lake at the base. A hot shower is available before dinner! 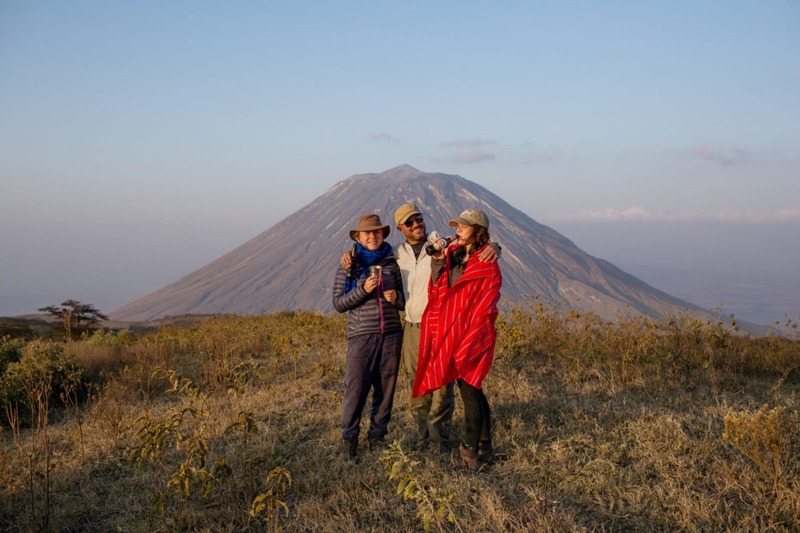 Empakai Camp is located right on the edge of Empakai Crater, with spectacular views looking into the crater. 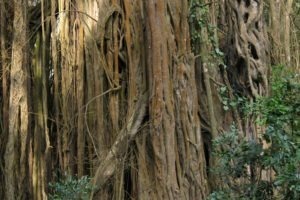 It is a truly special and unique location and a great spot for bird watching. 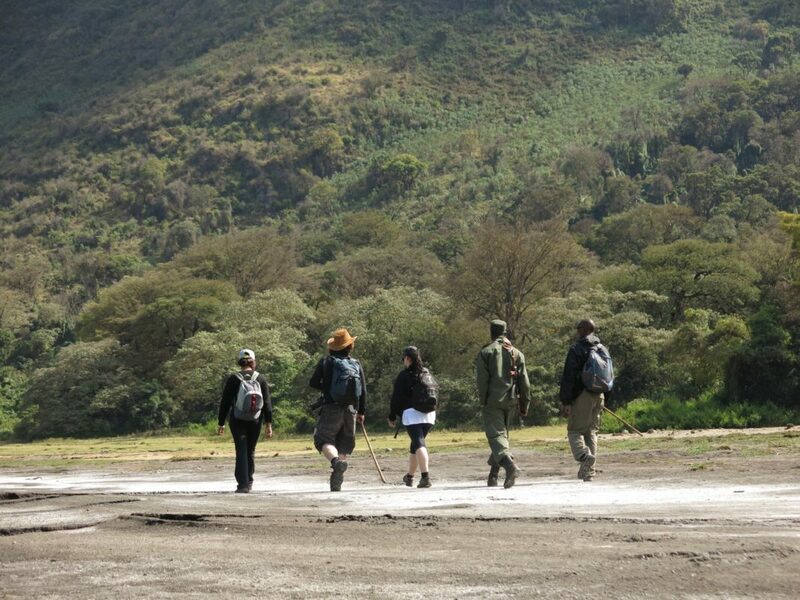 It is also the starting point for The Great Rift Valley Trek (Empakai to Natron). 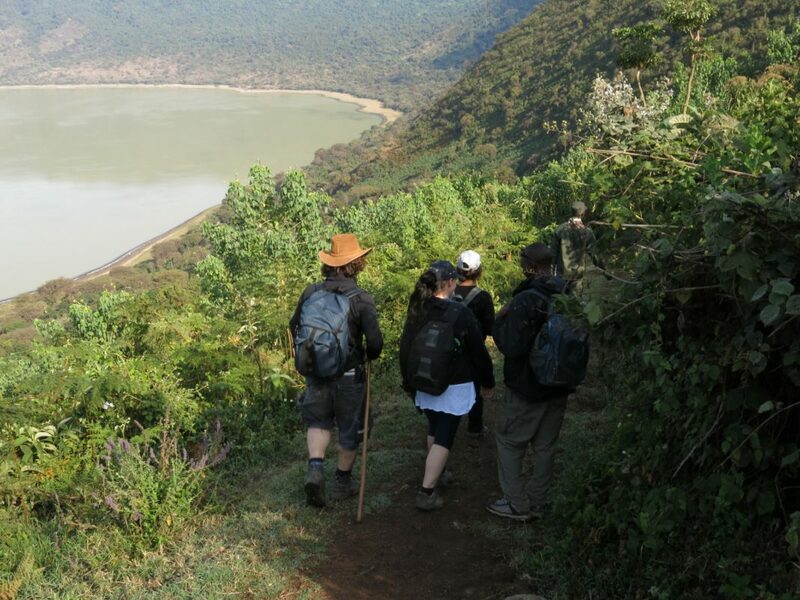 The world-renowned Eastern Rift Valley passes through Kenya and Northern Tanzania, this section is known as the Gregorian or Gregory Rift Valley. 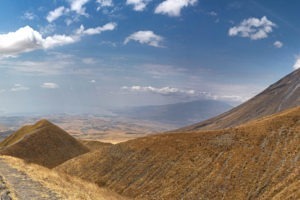 The ‘Great Rift Valley’ stretches over 6000 kilometres from northern Syria in the Middle East to Mozambique in Southern Africa. It features an array of glistening lakes, volcanoes, craters, endless desert landscapes, majestic mountains, and ancient rolling hills. 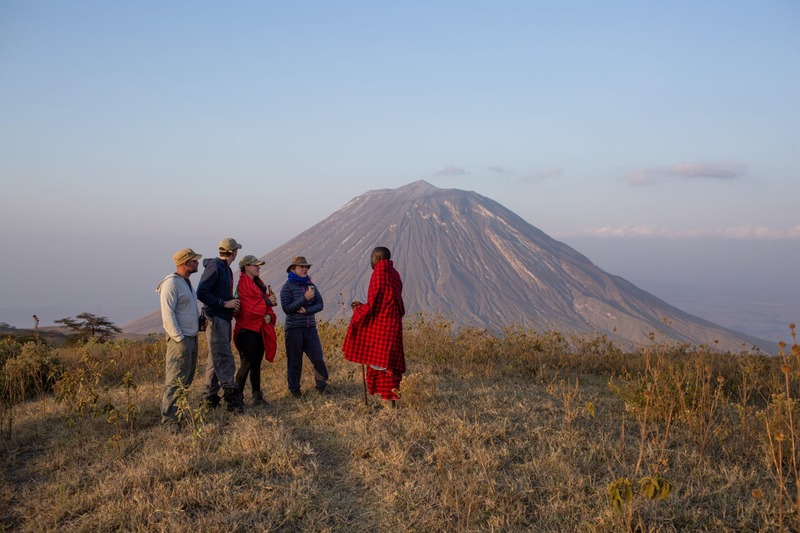 Visitors can look forward to a variety of exciting activities such as: exploring the majestic Tanzanian volcanoes of Ngorongoro, Empakai, Olmoti and Lengai; discovering Lake Natron, a vast mineral lake; and viewing the iconic Mount Kilimanjaro, the highest mountain in Africa. 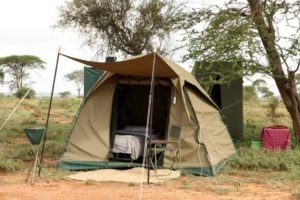 Other popular activities include: hiking, game viewing, trekking, guided walks, bird watching, golfing and Maasai village visits. Dawn rises and our lofty position affords a great sunrise! As we take breakfast our camp crew break camp and depart to send the camp ahead with donkeys. We then set off hiking with Maasai guides following a route that takes us through picturesque Maasai villages and rolling hills. 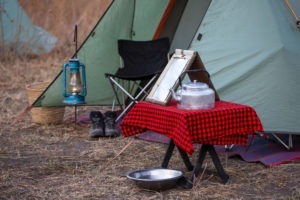 Lunch can be taken on route as a picnic, or if guests are very fit a late lunch can be had in camp. In the late afternoon a hike up to a nearby viewpoint is highly recommended and a great place for sundowners! 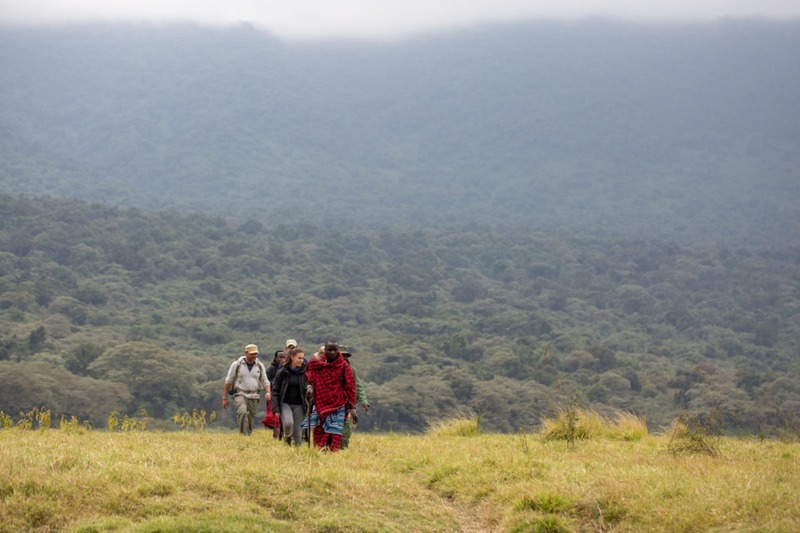 A truly special location nestled in the Great Rift Valley. 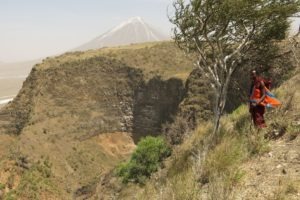 Right below Empakai crater and on route to Lake Natron in a grove of magical Acacia trees. 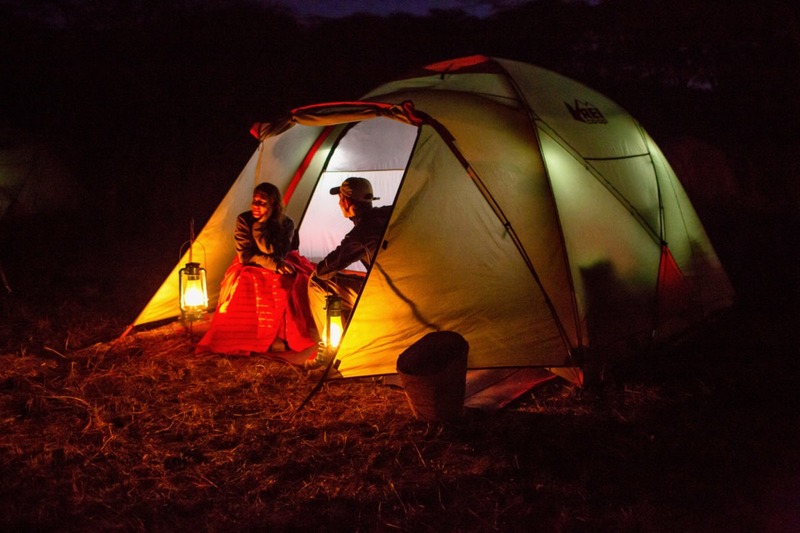 This camp, accessible only by foot, is mid-way on the Great Rift Valley Trek and part of an amazing journey and conservation effort to protect this endangered forest. Situated in the East African country of Tanzania, Lake Natron is fed by mineral-rich hot springs and is less than three meters deep. High levels of evaporation leave loads of salt and minerals behind, the volcanic carbonate colours the water a striking red and the temperature can reach up to 50 degrees Celsius. 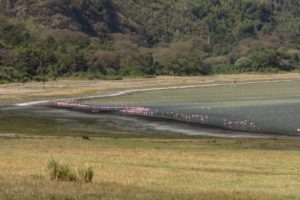 All of which makes it a perfect breeding ground for the endangered Lesser Flamingo, however, it is known as the deadliest lake in the country, the high sodium carbonate level in the water is known to calcify and petrify wildlife who get too close. 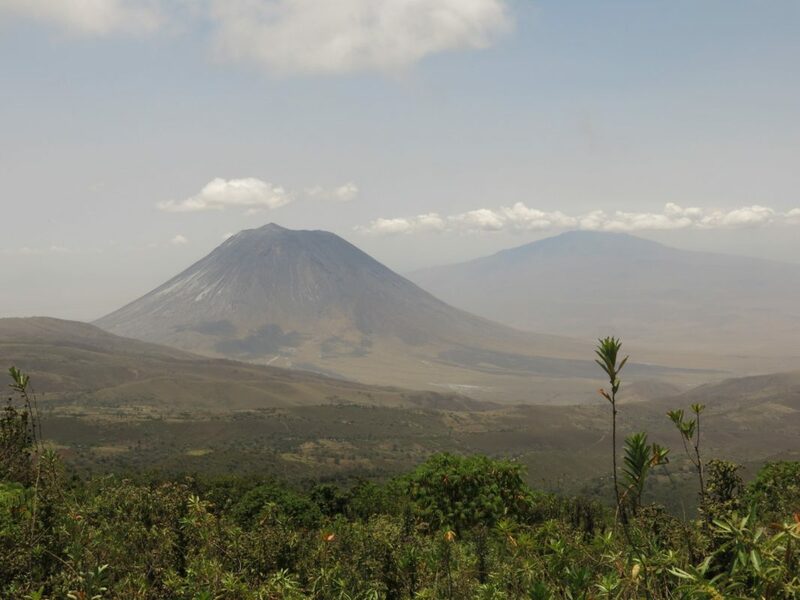 Visitors can climb the Ol Doinyo L’Engai, an active volcano; explore the surrounding terrain which includes rugged mountains, grassy plains, and gorges; and spot a variety of wildlife. The final section of hiking has two options, a shorter hike or a longer more strenuous option right along the rift wall. 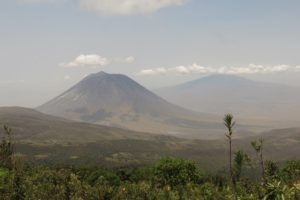 The views are spectacular with the active volcano Oldoinyo Lengai dominating the foreground. 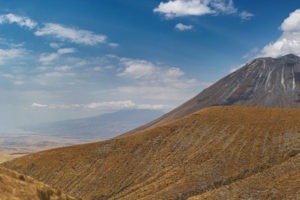 This volcano affects almost everything from hydrology to lifestyle, as will become apparent. Once down on the rift valley floor we are picked up and transfer to Lake Natron Camp, Ngare Sero and here we have the chance to jump in the natural pools to cool down. 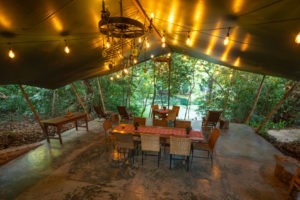 Sundowners are served at any number of beautiful points close to camp. 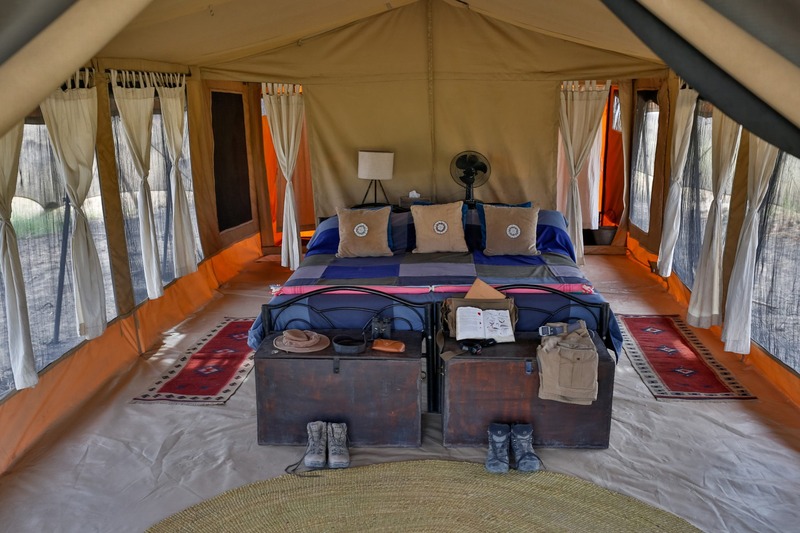 Located on the very edge of Lake Natron, this 10 tent luxury tented camp is perfectly situated for amazing adventures! 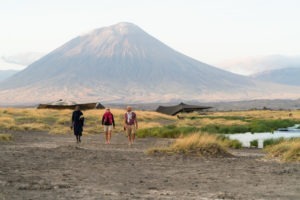 Located within walking distance are the hominid footprints and Lake Natron where over 1 million flamingoes come to breed, it is also ideally situated as an ending point for our Empakai to Lake Natron Trek, The Great Rift Valley Trek, as well as a number of other activities and expeditions combined with northern Tanzania safaris. 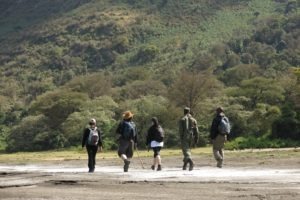 Lake Natron has a number of activities that are very easily combined with dawn walks and sundowners close by to the camp itself. 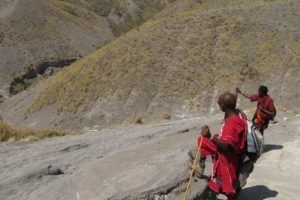 In the heat of the day there is the nearby Ngare Sero gorge that you can walk through to cool off in the beautiful waterfalls. 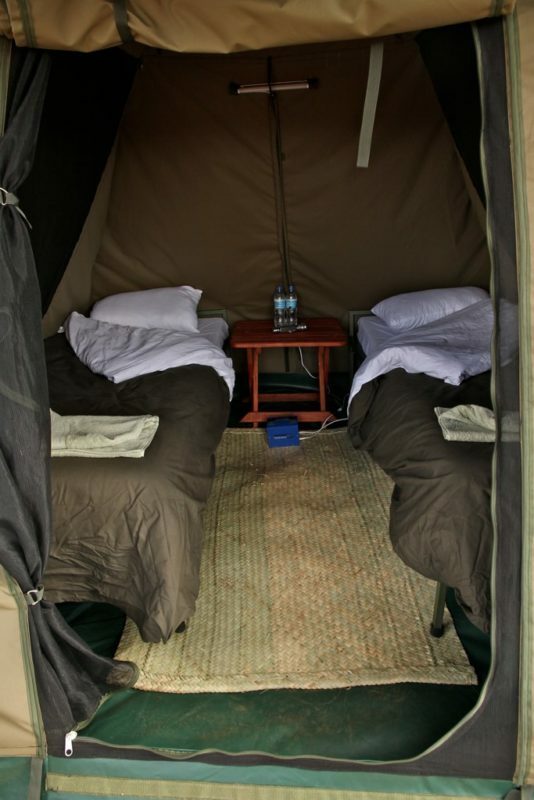 Throughout your stay the staff are on hand to make you stay as adventurous or relaxing as you want. We wake early and transfer over to the edge of the rift valley. 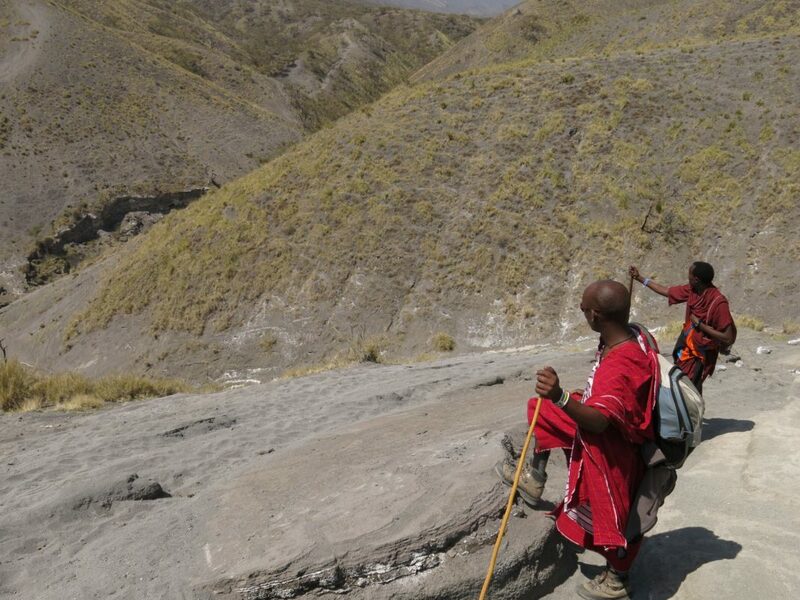 Here we hike up the escarpment, following trails used by the Maasai to herd their cattle to the rich pastures above. Dawn rises and we are afforded a stunning sunrise over the expansive rift valley. 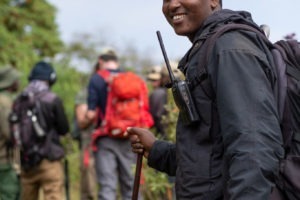 Our safari vehicle meets us at the top and we transfer across the Salei plains to Sanjan gorge and to our camp where you can relax, before meandering deep into the Sanjan gorge with our Maasai guides later in the afternoon. Sunrise from camp is stunning. 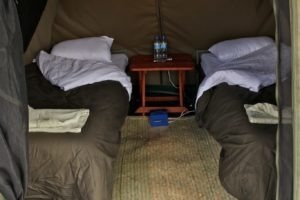 We can afford to take a lazy start to the day and then drive over to Olkarien gorge and walk into the gorge with a picnic. A wonderful place to explore and one of the most important nesting sites of the Ruppel’s Griffon vulture. We then explore the area before heading back to camp. There are plenty of options to head out on a scenic sundowner, either scrambling to key sites with amazing vistas or the expansive plains nearby. 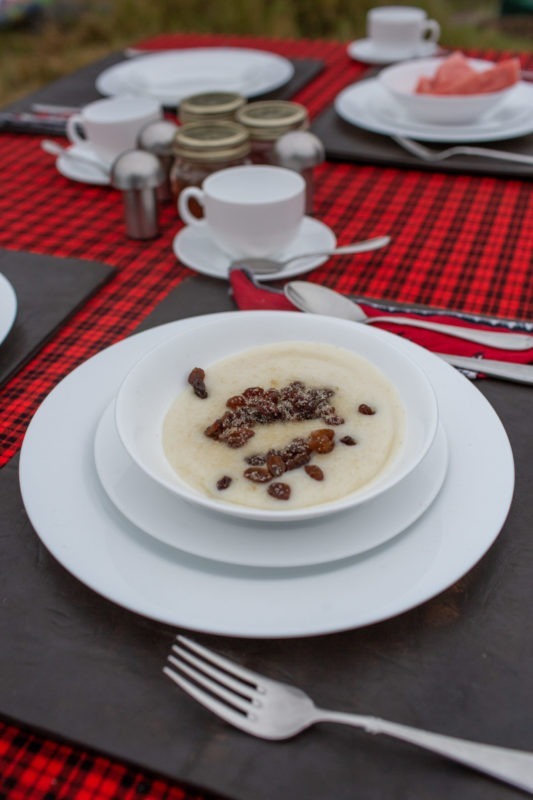 We have breakfast as our team breaks camp and prepare to trek. Depending on season the route may be above the Sanjan Gorge or up and over the hills to the south of the gorge. A picnic lunch is taken on route and latterly we cross over the source sand river and into our bush camp. Time to reflect and relax around a campfire! 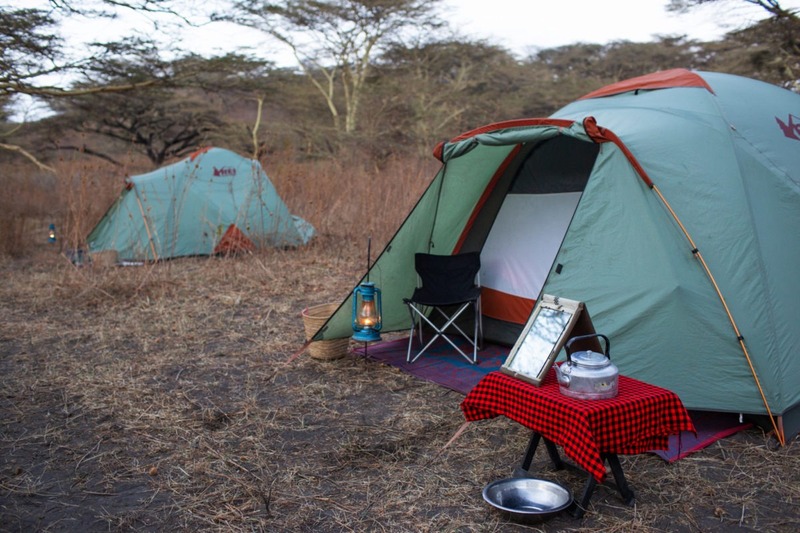 Set at the base of the Gol mountains, Piyaya Camp is a remote campsite in Loliondo, situated just outside of Serengeti National Park. The accommodation features 6 tents with ensuite bathrooms and a dining tent. 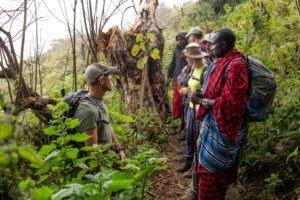 Guests can explore the Maasai villages, enjoy seamless access to astonishing wildlife and take in the stunning natural views. 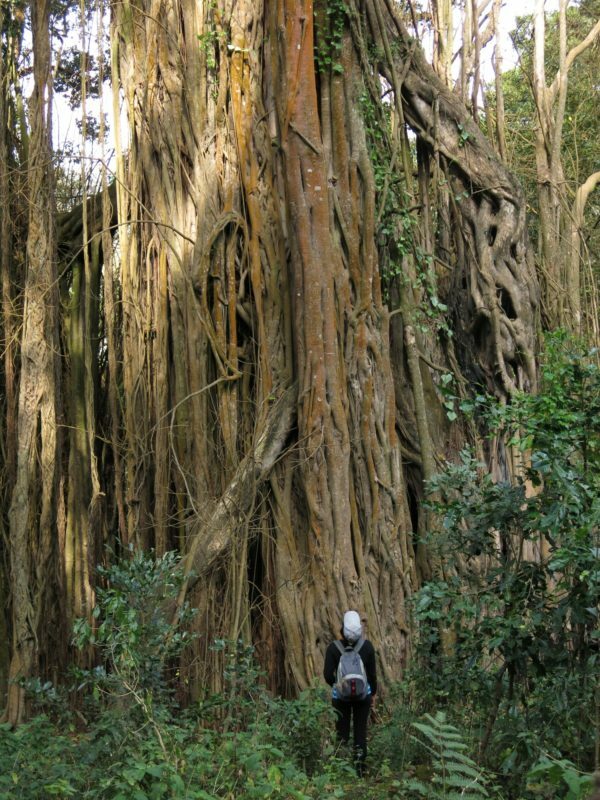 Depending on the time of year you may choose to either game drive nearby, or walk to some interesting secret spots. Piyaya is renowned for being a haven for early man – with year-round springs of fresh water both man and beast could survive here in the harshest of times. 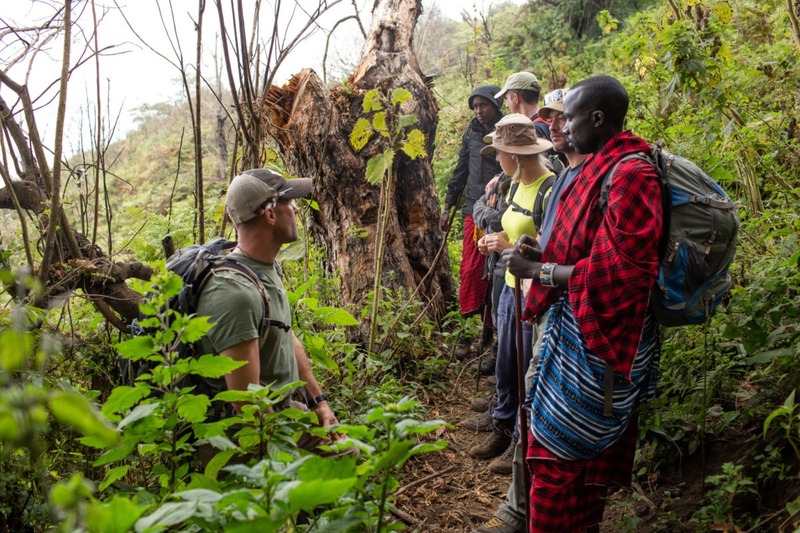 Exploring the rolling hills, secret caves and walking with Maasai warriors is an adventure in the waiting! If the migration is in the area you can also game drive as well – your guide and team are on hand to make the most of the day. 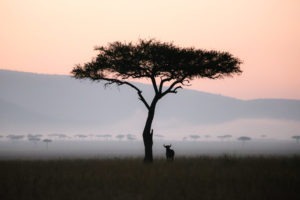 The Serengeti together with Kenya’s Masai Mara Game Park form Africa’s most famous wildlife park. 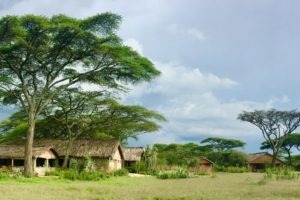 The image of acacia trees on an endless grass plain epitomises Africa for many, and then add a Masai warrior and some cattle to the picture and the conversation need go no further. The annual wildebeest migration through the Serengeti and the Masai Mara is the largest mass movement of land mammals on the planet – with more than a million animals following the rains. 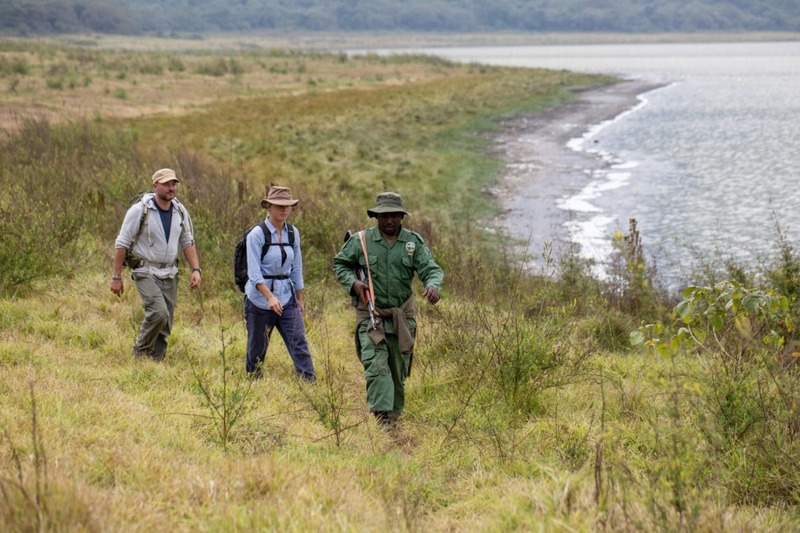 But that is not where the game viewing ends; large prides of lions, elephants and giraffes in grasslands, gazelles and eland to mention but a few. 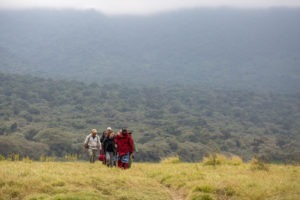 From Piyaya you head into the Ngorongoro Conservation area, which is contiguous with the Serengeti plains. 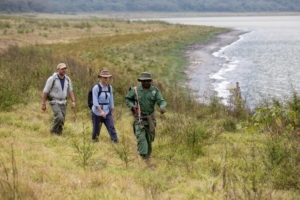 Indeed, this area is where the annual migration of wildebeest and associated migrating herbivores all congregate. 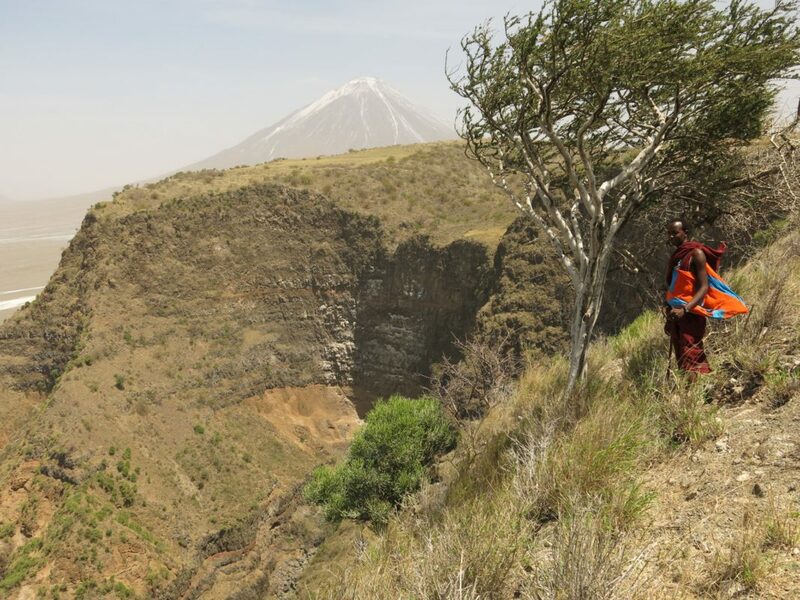 On route to an area called Ndutu, Olduvai gorge is a must see and the finale in the story of man that started back in Lake Natron. 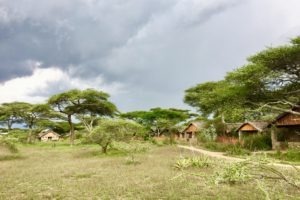 From here you head into Ndutu for an afternoon game drive (note any season there is great game here from leopard / lion to resident herbivores). 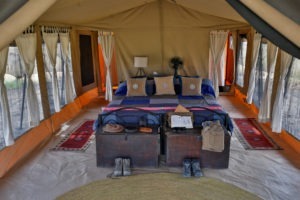 A traditional Safari lodge in an outstanding wildlife location. A dawn game drive is an option before transferring to the Ndutu Airstrip in time for your light aircraft flight back to Arusha. On arrival into Arusha, disembark and collect your luggage. 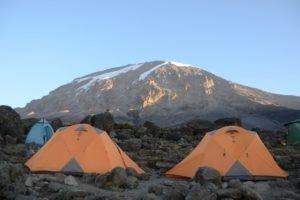 Meet a driver and transfer to Kilimanjaro Airport for your onward flight home.